Beads around next area and arm opening. Layered. Scallop edge trim with embroidred flowers. 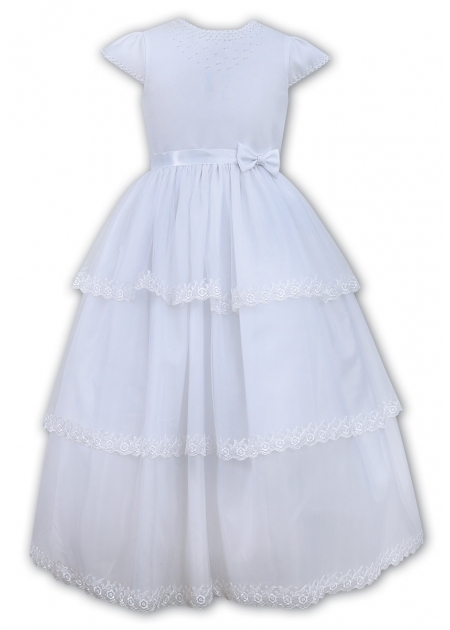 This First Holy Communion dress is available in our shop for viewing/trying.